Shadows of Worship 1: A New Testament Standard for Worship? When it comes to worship, what is our standard? What is our guide? For all things in the Christian life, we rely on Scripture as our foundational source. This is why I find it so peculiar that there are so few corporate worship directives in the New Testament. In John 4, Jesus proclaims that true worshipers worship “in Spirit and Truth” (a subject we will spend more time on later). Paul offers some practical guidance on how to behave when gathering together, and the writer of the book of Hebrews lays out some helpful theological ideas about worship. We also see some glimpses of heavenly worship in Revelation, but the New Testament offers little in the way of prescriptive worship instructions. This lack of corporate worship protocol in the New Testament could be due to an early church emphasis on life as worship. Paul calls the Romans to offer their bodies as “living sacrifices…this is your spiritual act of worship” (12:1). Does this mean that the first church deemphasized corporate gatherings, in favor of holy living? I don’t think so. Both the Old and New Testaments see worship as an act that extends beyond corporate gatherings, but both also seem to hold corporate gatherings in high esteem. In the New Testament, we see multiple examples of people gathering for times of prayer, study, communion, and teaching. The Church itself was birthed in the midst of a corporate prayer meeting (see Acts 2). As well, the writer of the book of Hebrews clearly admonishes, “Let us not give up meeting together, as some are in the habit of doing…” (10:25). While worship was seen as an act that went beyond the corporate gathering, corporate worship was an important part of life for those who originally followed Jesus. 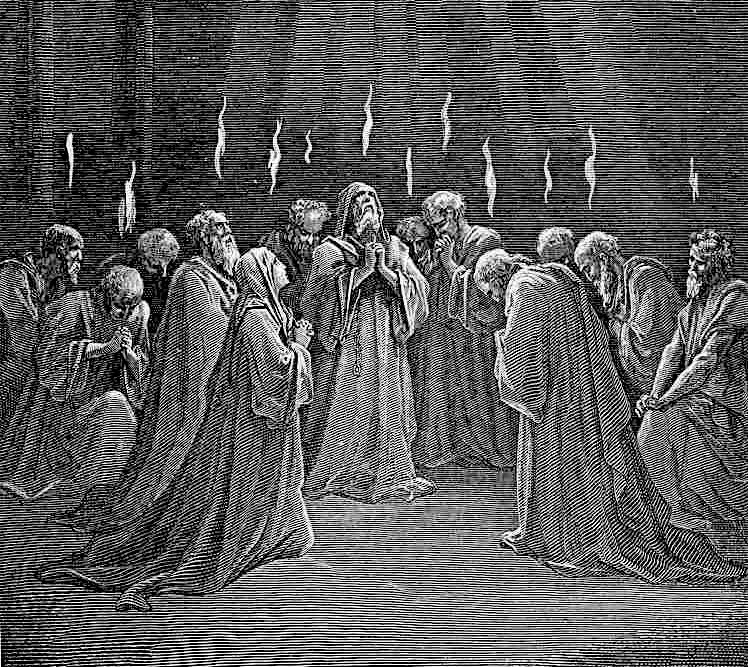 If corporate worship gatherings were still practiced and valued in the New Testament, where are the guidelines for those meetings? It is my suspicion that this lack of specificity about corporate worship in the New Testament may be by design and may be reflective of the newer covenant we currently enjoy. When it comes to religious practice, many of us desire order, rules, and a certain level of sameness. While there is certainly nothing wrong with rules, order, and sameness, these elements can quickly gain a life of their own. They can become subtle distractions that steal from the elemental intangibles related to the relational worship of God. We can become satisfied with enjoying the forms of worship instead of the one we have come to worship. This human bent towards religious activity over interactive, personal worship may be why certain structures and regulations are not lifted up in the teachings of Jesus and the apostles. Every regular gathering will gain a certain liturgy and tradition over time, but these worship procedures and practices, as beneficial as they may be, are not what make up the essence of true Christian worship. Perhaps, the omission of specific corporate worship instructions is simply because that’s not how New Testament worship works. Could it be that there is a lack of official written instructions in order to cultivate creative, varied, limitless expressions of glorifying God and edifying the Body of Christ? Our local churches should be the most creative and expressive places in our communities and should reflect the creative nature of the one who made the Universe and all that is in it. Is it possible we have been approaching worship from a place of “fear of error” instead of “grace to glorify?” Perhaps, God has given us a beautiful blank canvas, full of endless, creative possibility, and we tend to cry out for graph paper. Our conversation will continue in the next post in this series where we take a look at a few underexplored biblical illustrations of New Testament worship.